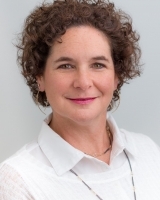 Dr. Stacy Feiner is a business psychologist and coach at BDO USA. Stacy’s unprecedented method of coaching fuses the Science of Psychology, the Principles of Business, and the Realities of Leadership to get business owners the results they want faster. Business owners, boards, management teams, and business families value Stacy’s ability to hone in on and solve complex dynamics quickly and get their companies back to growing profitable revenue, enhancing value and eventually transitioning to new leaders. Stacy takes business owners and stakeholder teams through critical phases of leadership and organizational transitions with a framework that makes change possible. She facilitates family retreats, board meetings and advisor meetings to improve the circulation of ideas, the quality of decision-making and accountability. The goal is to get business owners to lead their companies through continuous transitions successfully, and ensure that people across an enterprise are their competitive advantage. Stacy has held leadership positions in fortune 100 corporations, academic institutions, and privately-held companies. Stacy lived and worked in Asia, and was a registered financial advisor with Merrill Lynch. She serves on the boards of several closely-hold businesses and not-for-profit organizations. Stacy is the author of Talent Mindset: The Business Owner’s Guide to Building Bench Strength. psychologist, business coaching and national speaker.